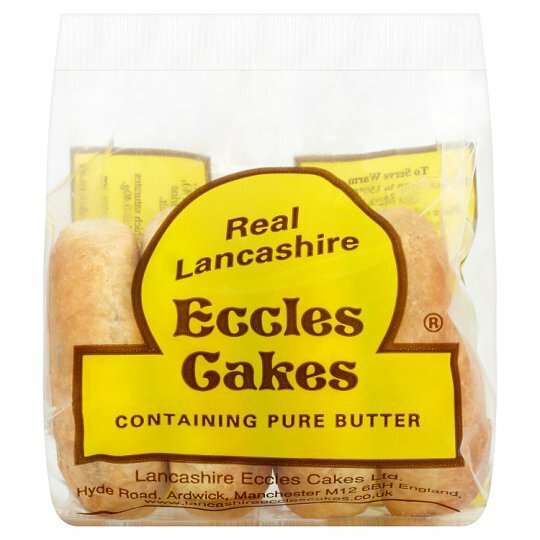 These cakes are individually made from the finest ingredients obtainable in order to re-capture the authentic appearance and flavour of a Real Lancashire Eccles Cake. Oven cook (From Ambient): Pre-heat oven to 150°C (300°F) Gas Mark 2. Place cakes on a baking tray and heat for 5 minutes.